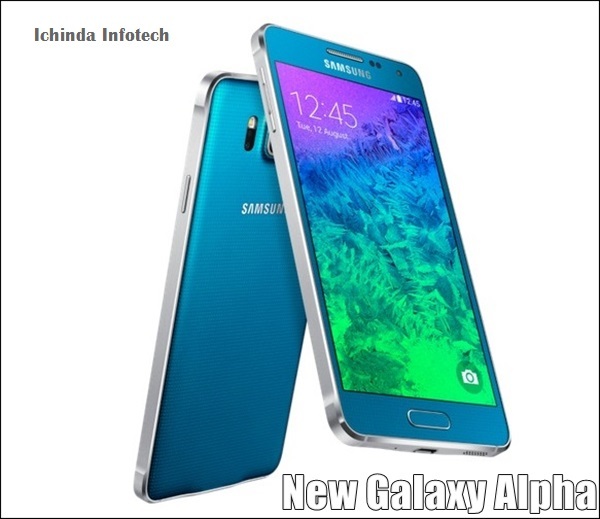 Samsung has wonderfully crafted it’s next generation Galaxy smartphone, Galaxy Alpha with Slim and elegant design with high quality materials, Advance camera with HDR Live, powerful battery life with Ultra power saving mode which going to launch in Indian market on 27th Sept. at a press event priced $689 (approx. Rs. 42,250) in Charcoal Black, Dazzling White, Frosted Gold, Sleek Silver, and Scuba Blue colour variant. 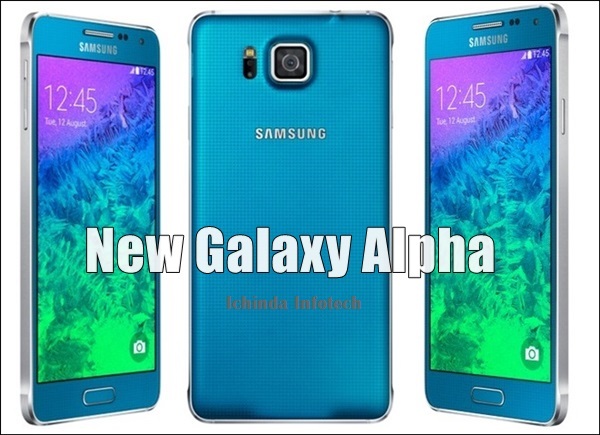 New Galaxy Alpha first unveiled in USA in early August slated to hit US market on 27th Sept. 2014 at $199.99 with a two-year AT&T contact. It’s already up for pre-order in U.K market at £549.00. It’s going to effect the sales of Apple iPhone 6, iPhone 6 Plus. The all new Samsung Galaxy Alpha is the sleekest Samsung Galaxy smartphone ever wonderfully deigned in Samsung’s new Evolution galaxy design , Metallic Frame and elegantly curved corners really lightweight and portable just 7mm thick supports Finger print scanner, S-Health with its heart rate sensor, 4 GLTE FDD, Micro-USB, Bluetooth, Wi-Fi, GPRS/EDGE, 3G, and NFC. comes with a 4.7-inch HD Super AMOLED display with resolution (720×1280 pixels) and Colour Depth 16M for best viewing experience. New Alpha runs on the most advance Android 4.4 kitkat OS and powerful quad-core 1.8GHz and quad-core 1.3GHz processor(Octa-core and LTE version will be released soon) with 2GB RAM, 32GB internal memory no word of external memory promising superior multi-tasking and gaming experience . S-Health with its heart rate sensor. 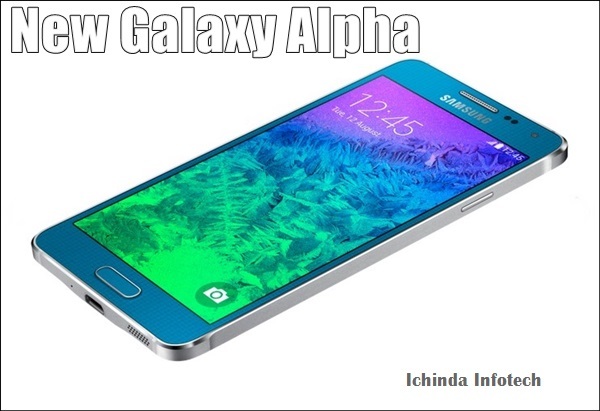 At last few honest word, the all new Samsung Galaxy Alpha is going to be the game changer for Samsung. What you think? Please be open to give your view.